Growing a successful cannabis business is more than just getting people through the door. Growing a cannabis business, pun intended, is about more than just getting long-time cannabis lovers to come to you. It’s about bringing in new customers who have been on the fence about trying cannabis. 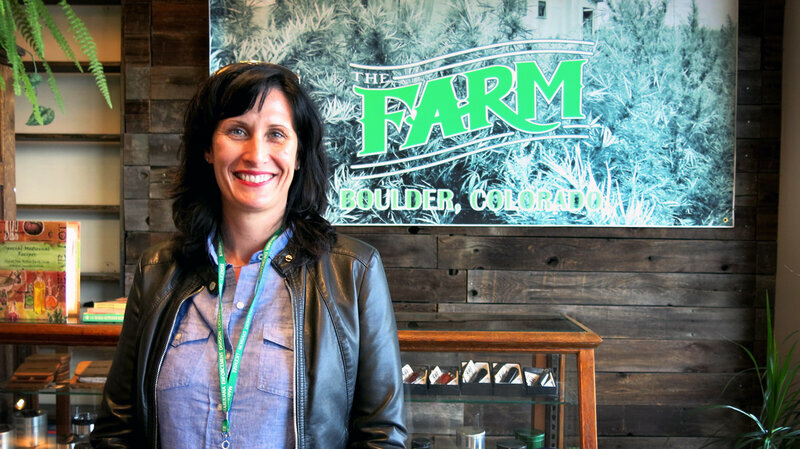 One business in Boulder, Colorado has done an excellent job of separating themselves from the traditional stoner stereotype and is reaping the rewards. That organic food loving, socially conscious crowd is exactly the type of customer Cole is trying to ‘recruit’ into the cannabis culture. The Farm advertises its cannabis as organic, pesticide-free, and locally sourced, much like eco-friendly Farmers Markets and green groceries like Whole Foods. Since January 1st, 2014, over 200 recreational pot shops have set up storefronts in Colorado, and more are coming. Standing out in that crowd of cannabis is difficult, and breaking away from the typical ‘stoner stereotype‘ is even harder. Shops like The Farm are changing the landscape, and the image, of the world’s most controversial plant. Cannabrand is a marketing agency that strives to help cannabis businesses achieve the rebranding that is vital to help the industry overcome longstanding social prejudices, and make the herb as socially accepted as a glass of wine. Jennifer DeFalco, creative director for the agency, says the emerging industry is quickly becoming big business and needs to start acting like it, pulling away from the garish and secular traditional image of ‘weed’ by using designer logos, catchphrases, and advertising strategies with mainstream appeal. That level of image rebranding can be tricky, as Colorado has strict advertising rules for the marijuana industry, including using advertising or media with an audience that is 30% or more underage. Those exact figures are hard to nail down, and the law leans on the conservative side of the fence. At her events, they can, with gourmet hors d’oeuvres and an open bar for only $95 dollars. Unfortunately, the social culture hasn’t quite progressed as far she hopes to encourage. Employers in the legal state can still enforce Drug-Free Workplace policy, and more than one worker has been fired for off-the-job, personal or even medical use of cannabis, which can stay in the system for weeks or more. Some party-goers use aliases, to prevent their jobs from discovering their off-hours activities. For those who truly want to see cannabis accepted, the workplace laws and cannabis are going to have to undergo relationship counseling on a legal scale before that stigma can be overcome. Would you rather purchase from an out-and-out recreational dispensary, or a upscale, wholesome image market? Should employers be able to fire employees for legal, off-duty use of cannabis? Will new, more accurate impairment testing methods fix this unfair prejudice? Share your opinion on social media or in the comments below.